23 year old Shivani Yadav was working in Cognizant, Pune, when she was diagnosed with ALL (Acute Lymphoblastic Leukemia) also known as Blood Cancer, on 7th May 2015. It was just a day after her engagement. 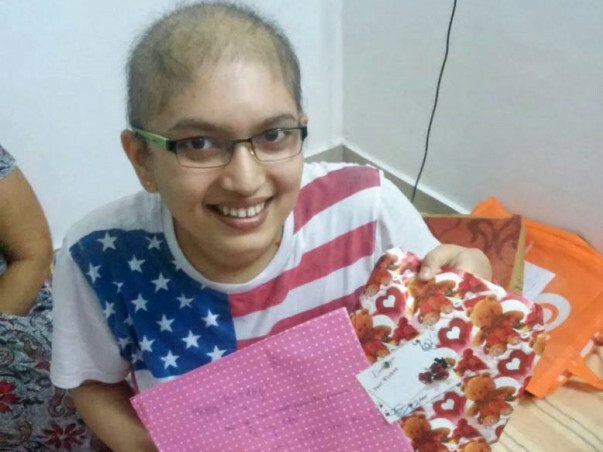 Her treatment started in three phases from Tata Memorial Hospital Mumbai.(Khargar). Phase 1 - Induction and Phase 2 - Consolidation are already completed. Phase 3 - Maintenance is ongoing right now. The final phase will be completed after Bone Marrow Transplant(BMT) is done. We did not find any match for BMT in India. As a result we had to search overseas. 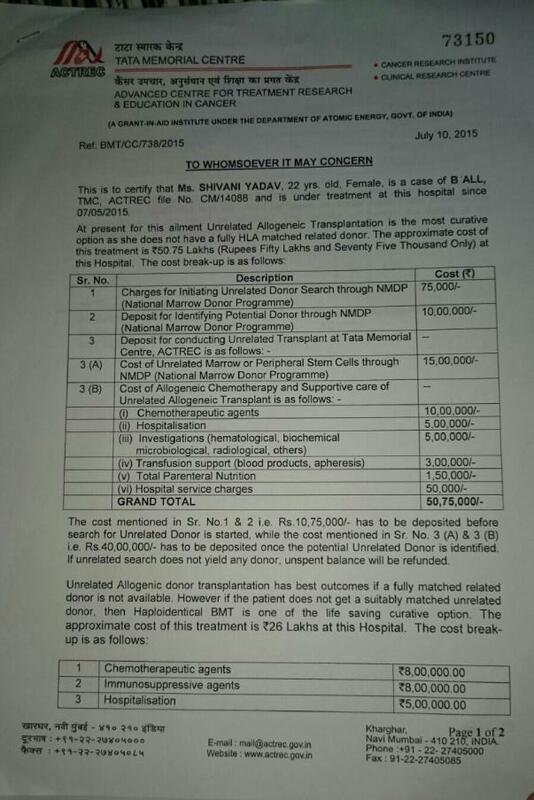 We just received a ray of hope when we found a donor from US. The only concern is being from a middle class family, we cannot afford to pay 50,75,000 Rupees in a single go. In order to meet this expense and to save a life of this fighter, we need your contribution. God Bless and Wish a Fast Recovery.